You may have been glamping for years or you may never have been glamping before - either way, I suspect you’ve probably come across a few buzzwords from the glamping scene, which left you wondering what on earth they meant. The word glamping is a mix up of glamorous and camping, to make glamourous camping and therefore - glamping! Love it or hate it, the word is here to stay and is used to describe all sorts of luxury camping accommodation styles. It’s really just a word which describes any camping style accommodation, which has been made more luxurious than you would expect. And even if you aren’t a fan of the word, you’ll find yourself getting used to it soon enough with glamping massively on the rise at the moment. Adventure is key to every glamping holiday. Even if you wouldn’t consider yourself to be very adventurous,a small adventurous step like trying a new activity or staying up late to watch the northern lights count. So don’t rule out adventure on your holiday! If you really like adventure, but also a perfect nights sleep then glamping is the perfect accommodation. Often situated near big mountains, scenic beaches or incredible history - you can really explore your surroundings, without any of the discomfort of sleeping in a tent. Often the source of a lot of fun is an activity centre. Activity centres, are usually filled with adventurous activities, but also plenty of activities if you are just wanting to chill out. Whether it’s pottery painting, fishing, or high wire adventure you’re sure to find something for you at an activity centre. 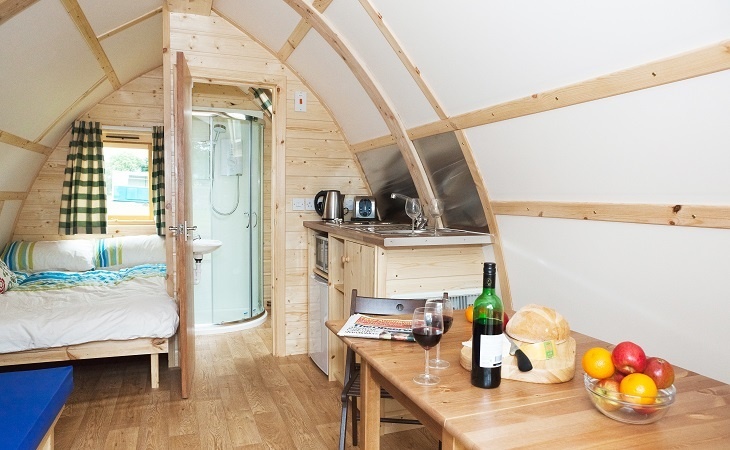 Lots of glamping sites are essentially - activity centres. With lots of onsite activities, there is no need to travel for your thrills or chills, you can do it all onsite and spend more time having fun than travelling about. 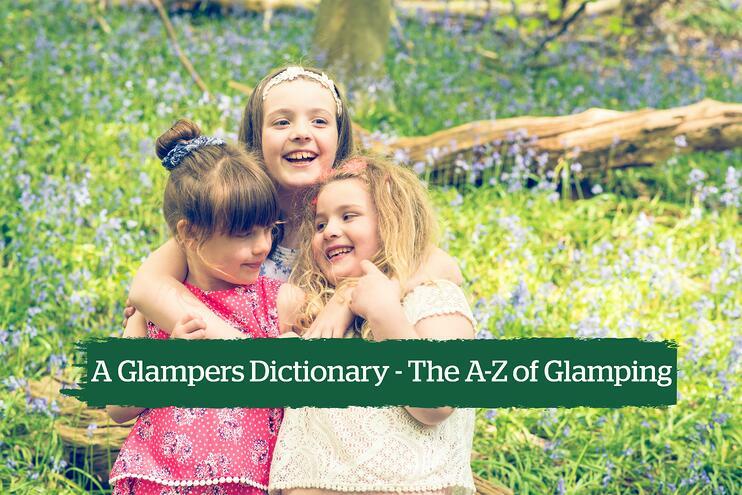 To really complete the section of A in our glampers dictionary, Action really fits in. What is a little adventure and activity centre, without it being action packed. We know that your holidays are precious and often you want to jam in as much as possible - which is why glamping holidays can be easily “action packed”. Often you can pre-book activities in advance to avoid disappointment and not waste any time of your holiday deciding what to do, and spend the time doing what you want to do! To those of you unfamiliar with glamping, you may be wondering what on earth bunting is doing in this list, but to those who truly know how to glamp in style this makes total sense. It's the little things, which make all the difference. For those that don’t know, bunting is essentially some string with small flags (of any design) placed along it. You’ll often find it towns and villages if it’s a gala week or similar. However, it can really transform your Wigwam from ordinary to extraordinary. If you’re really going to put the glamourous into glamping then bunting is a must have. If you’re a hardened camper or seasoned Wigwammer, you maybe aren’t used to bed linen and camping going together. Traditionally - Wigwams were for those without a tent, but still brought their sleeping bag. Things have changed. Now you needn’t forgo any comfort and have standard or even premium bed linen waiting for you on arrival to your glamping accommodation. If you’re not from a particular area of England, you may be wondering what on earth a Barm Cake is. You might also be trying to work out what the other variations are in the title. These are all your standard baker's roll. Something you might fill with bacon, sausage or egg in the morning. Since a hot filled roll is definitely a glamping favourite, the diversity of the word had to be included in this dictionary. So if you’re asking for your local name for a hot filled roll in an area you’re unfamiliar with, don’t be surprised to be met with some confused faces. This is an easy one - we all understand it, but no list of glamping words would be complete without barbecue. You can’t go on a glamping holiday without a barbecue - it’s just virtually impossible. It’s hot and sunny outside and nobody wants to be cooking over a stove. Just stick your ingredients over the charcoal, wait until it’s cooked just right and hey-presto you have your dinner. Easy as. A Big Chief is our biggest Wigwam which doesn’t have an en-suite. A Big Chief Wigwam is ready for anything. Perfectly warm and spacious for up to five people. Plenty of storage and even a fridge and microwave too. If you’re after glamping without all the bells and whistles (and to save a bit of cash), staying in a Big Chief is definitely for you. You can find out more about the Big Chief here. Nice and simple here - when the evening comes and with it the cooler weather, but it’s a beautiful night outside, it’s just perfect to get under a blanket and keep warm whilst chatting around the fire and under the stars. And whilst you’re blanket and wishing you could make out the stars a little better, some binoculars might come in handy. Often you’ll find glamping sites on a working farm. If it’s the right kind of farm you can might find yourself able to acquire some pretty tasty beef burgers of the farm’s own variety onsite. I know you all know what this is, but you almost can’t have a glamping holiday without a car journey (for those that want to know how you can check out our Wigwam Without Wheels section). It’s inevitable that you’ll need to pack your car to the brim and head off into the traffic on a Friday afternoon towards your countryside vista. Another entry to the dictionary you maybe wouldn’t associate with glamping. It’s not exactly an outdoors item - given that a light breeze will easily put a stop to a burning candle and all the fun that comes with it. However, given that it’s as safe as in a house to have candle in a Wigwam really, it can really add that little something extra to a romantic weekend away. The hardened campers reading this article I imagine will find the thought of bringing cushions to the outdoors a ludicrous idea, but for those that like a little luxury will know the importance of bringing extra cushions - just to make sure no hardship is felt. This will be our first location based entry to the dictionary. Coastal locations are epic locations. Without any fear of a tent being blown down, a Wigwam is an amazing place to be for a coastal holiday. Experience the outdoors and luxurious indoors, with the sea views stretched out in front of you. 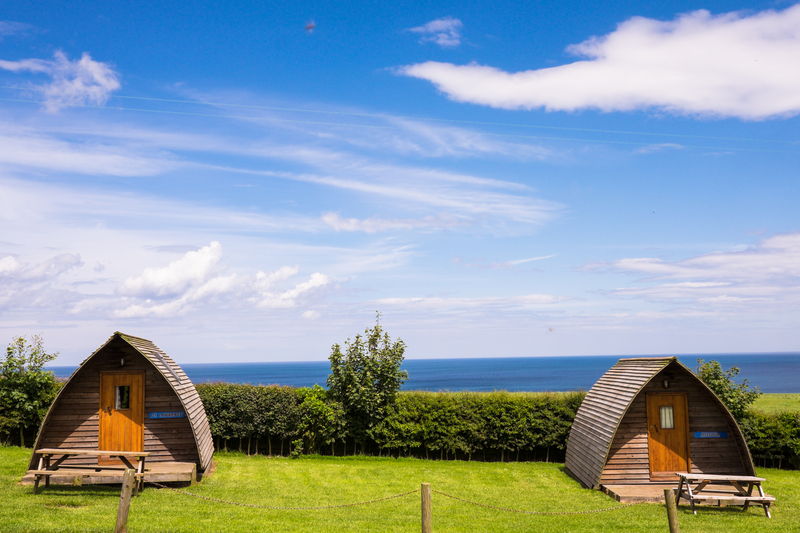 Pot-a-Doodle Do Wigwams is an incredible coastal location just outside Berwick. If you’ve got something to celebrate then do so in style! Many glamping sites offer Champagne in a bucket of ice (or in the fridge) waiting for you on arrival. So after a long drive, just sit back and relax. You can’t have a good BBQ without any charcoal right? 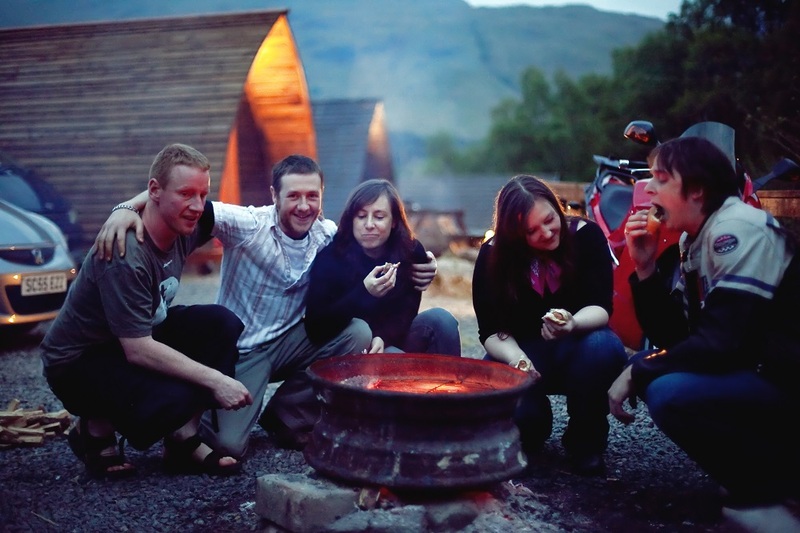 Most glamping sites will offer BBQ’s for hire, and charcoal can also be purchased on site if you have your own BBQ. For the coffee drinkers reading this article, I’m sure you’ll agree that the thought of having a nice hot cup of coffee sitting outside your Wigwam first thing in the morning is almost enough to have you handing over your credit card details to a holiday provider. It’s a good thing glamping is one of the best de-stressers ever, because it’s exactly what you might need after driving to your chosen glamping destination. If you’ve been stuck in traffic or it’s been in the dark or driving rain, you’ll know what I mean. Since there are so many adventurous activities often available on glamping sites, you’ll soon work out who the dare-devil in the group is. The dare-devil has no qualms with something which should put the fear into you. Jumping into freezing water? No problem. Mountain biking? No problem. Climbing the tallest mountain? No problem. Every group has a dare-devil whether you realise it or not. I challenge you to find them. Our best friends. Dogs love glamping. It makes sense to them. You can play outside all day, and then when it’s time to go to bed, they can come inside to a comfy bed. If you needed one word to describe glamping. This would be it. With how easy glamping is straight out the box and then the extras you can add - just to make things even easier and luxurious, it really is an effortless holiday. Moving on from effortless - since glamping is so relaxing, you’ll be full of energy to enjoy each day of your holiday. You’ll not be tired from putting up your tent or from getting no sleep because of the rain on the canvas of your tent. Instead you’ll wake up refreshed and ready to go! Glamping and al fresco dining is just something that works. Most likely because you’re having a barbecue or the British weather is doing it’s thing and shining the sun on you. At least if it rains though, you can eat inside with no troubles. Ok - so I’ll admit, this a bit of a cheat to put this word in the glampers dictionary, but this is what glamping is all about for most people. We all love the luxury part of it and to avoid putting up a tent, but at the end of the holiday and you head off home, if all you can think about was how much fun you had, despite the rain and the wind then you’re doing glamping right! You can’t go glamping without having a little fire at night. Wigwams are synonymous with firepits, with pretty much every Wigwam across the network having a fire pit available. 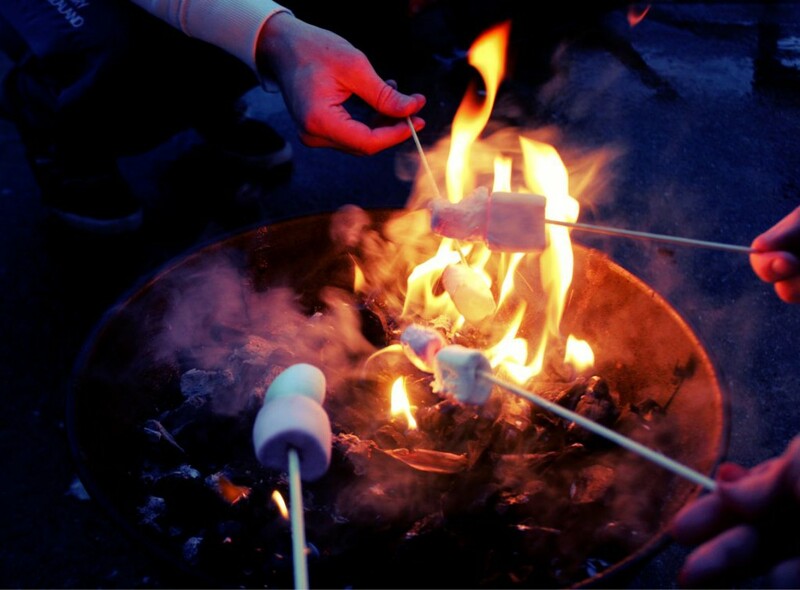 Whether you are toasting marshmallows or just trying to dry your feet off, there will be smiles all round. “a large area covered chiefly with trees and undergrowth” - There is something pretty magical about a forest. They can make you feel safe by sheltering you from the harsh elements in the open space. They are are full of wildlife and little nooks and crannies waiting to be explored. Best of all, if you go glamping in a forest you’ll really get to experience the forest life. Following little paths and winding round trees and exploring. If you’re not on holiday with your friends then you’re probably on holiday with your family, am I right? Glamping is very family orientated. It’s for the parents to relax and the kids and to have fun or everyone to have fun (but we all know kids aren’t big fans of relaxing). 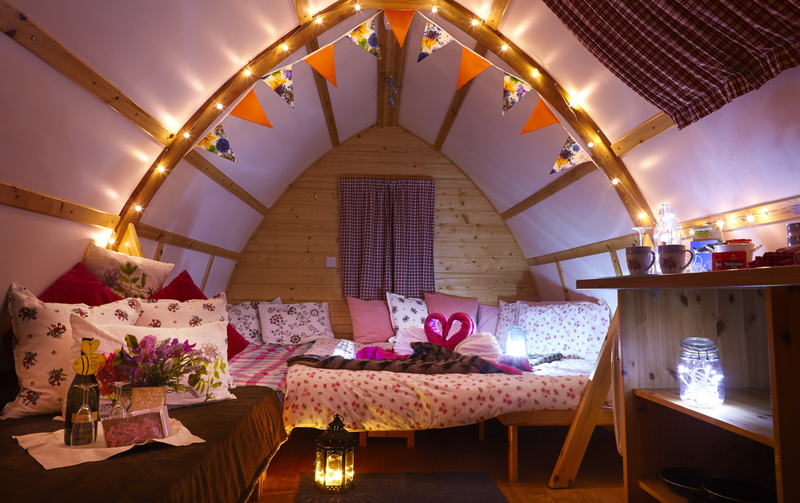 For the perfect glamping experience, adding in some nice fairy lights can really bring the magic. The best thing about being in the outdoors is fresh air. Living in a town or a city, you really don’t get the clean air feeling you get out in the countryside and remote areas of the country. You can even buy fresh air in a jar in some of the big cities in the world. Glamping is all about being outside in the outdoors. I’m sure we’ve all heard the phrase - “Gosh I’m so tired, it must be all the fresh air” - which it turns out is because fresh air helps you relax and unwind by releasing endorphins. Basically you can hang outside in the sun all day and the air relaxes you. Does it get better than that? Wigwams are for friends. Spending time round the fire with your best of friends - chatting away to the wee hours of the night. It is pretty special. Then after a great night’s sleep - either a day in the hills, on the water, by the beach or exploring the town, whatever takes your fancy - it’s always better with friends. Wigwams naturally fit in with the farming lifestyle. 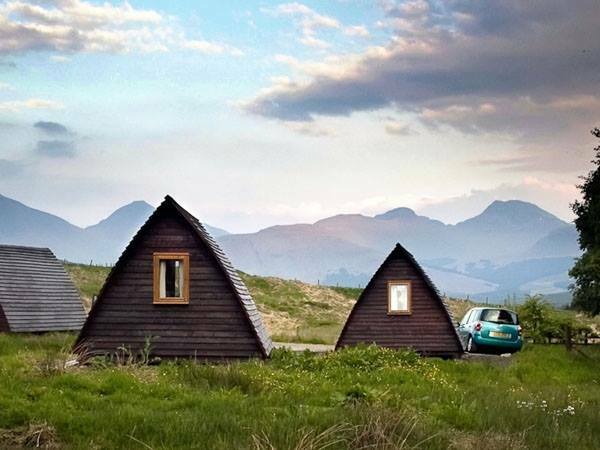 With plenty of farms struggling in the recent economy and looking for new ways to diversify - Wigwams were the answer. Farm holidays are a lot of fun. There is plenty of animals to see and lots of fun activities for children. There will be the hardened few out there who believe there is no need for firelighters and making a fire with only elbow grease and wood is the only fire worth making. However, this is glamping. Generally with glamping - we like to take the easy route and this is where firelighters come into their own. Firelighters are small flammable objects, which you take a match to and will provide enough fire for a few minutes to get your fire going with food and charcoal. You can have your fire going in just a few minutes and there is no need to faff about. 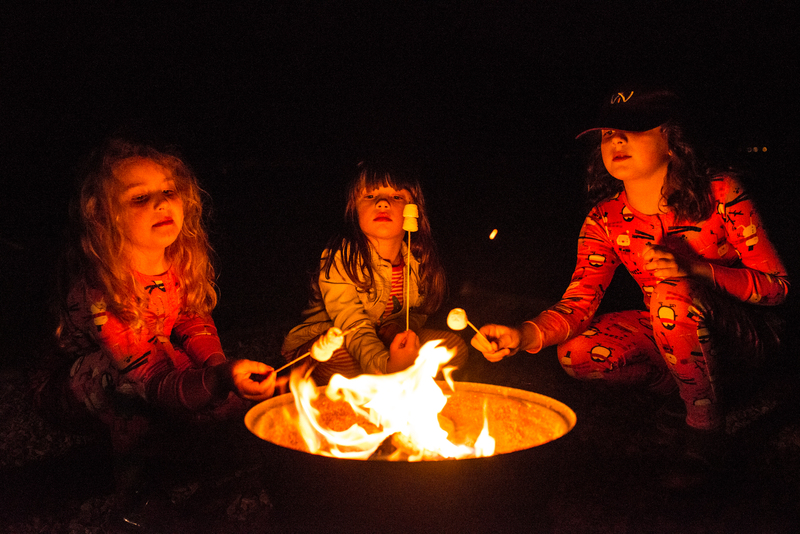 If you're still unsure on how best to light a fire - we've written a guide for you on how to start a fire on your glamping holiday. Always necessary on a Wigwam Holiday - games. Whether you are with the kids or friends, you’ll find yourself playing some games maybe without even realising it. Kids love I-Spy in the car or games in the woods - us big kids maybe prefer a game involving some drinks or a board game on the rainy. However you look at it - it’s all going to be lots of fun. Glamping is perfect for groups. Not all sites accept groups, but the ones that do will be better setup for groups anyways. You can have a good sing song round the fire and just a good laugh. Or if it’s a group event, then you can have a really fun birthday/wedding/team building day in the great outdoors. This is the essence of Wigwam Holidays. The core purpose of Wigwam Holidays is to provide “Great Holidays in the Great Outdoors” and we really hope this is what you experience each time you go glamping in a Wigwam. See the Wigwam Holidays Purpose. 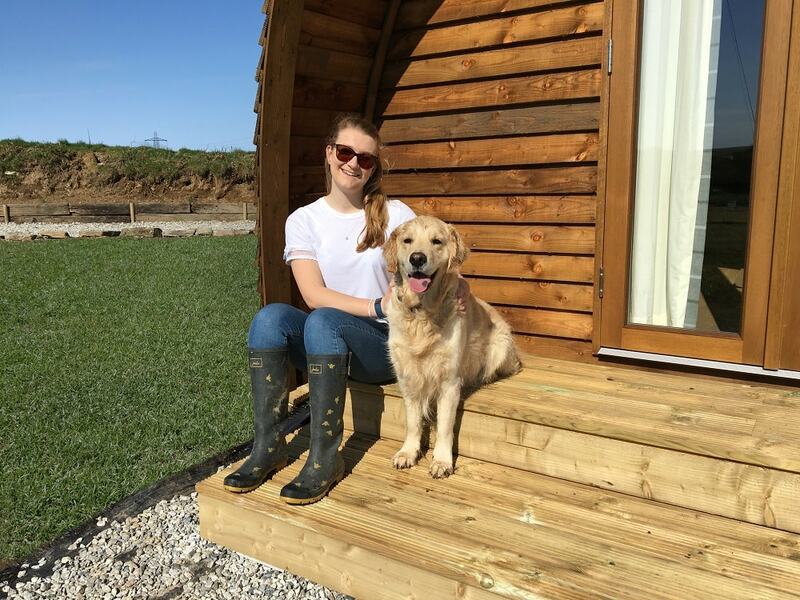 We hope that a holiday in a Wigwam puts a smile on your face and keeps you happy. Hungry - the barbeque never heats up quick enough does it? 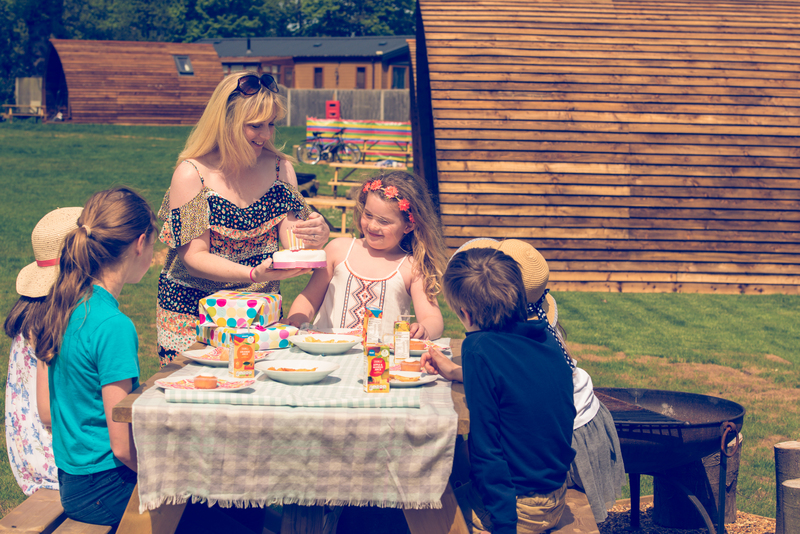 Ideally you’ll not be spending your glamping holiday in a permanent state of hunger, but it’s definitely important to feel hungry whilst the food is cooking over the barbeque. Just enough hunger to make the sausages a little bit more tasty and make everything a little bit more exciting. It’s all just a bit of fun really. Lots of couples like to celebrate their newlywed status by going on a magical glamping honeymoon. You can fully glamp out a Wigwam and go nuts for a really special holiday. Lots of walkers and hikers love Wigwams. The comfy beds, warm accommodation and a solid roof over the head can be much more appealing than carrying a little tent around. You can find Wigwam sites on lots of walking routes including the West Highland Way and along Hadrians wall.